In August this year the CLIC collaboration published an updated baseline staging scenario with emphasis on an optimised first-energy stage at 380 GeV for the accelerator. CLIC can then be extended to higher energies in further stages. The studies represent an update the staging scenario described in the 2012 Conceptual Design Report (CDR) for CLIC, prepared before the Higgs discovery unfolded. The CDR has a strong focus on operating the linear collider at 3 TeV, and much less information about the initial stages. With the discovery of the Higgs boson in 2012 a clearer motivation and energy scale for the initial stage of CLIC could be defined. 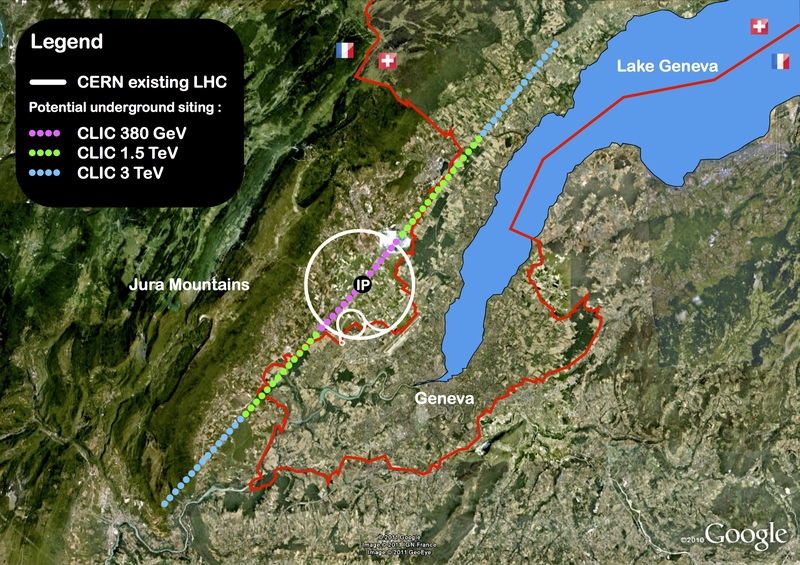 CLIC will provide detailed measurements of the Higgs boson and the top quark running at 380 GeV as the first step of its physics programme, and full simulations of realistic CLIC detector concepts have been used to evaluate the expected precision and to guide the choice of collision energy. The resulting first-energy stage is based on already demonstrated performances of CLIC’s novel acceleration technology and will be significantly cheaper than the initial CDR design. The recent studies have also provided an opportunity to consider in more detail performance, cost and power consumption of the CLIC accelerator as a function of the centre-of-mass energy, building on experience from technology R&D and system tests. After the initial phase of CLIC operation at 380 GeV, the aim is to operate CLIC above 1 TeV at the earliest possible time. 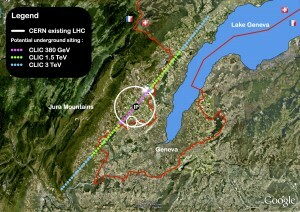 In the current baseline, two stages at 1.5 TeV and 3 TeV are planned, although the exact energies of these stages can be revised as new input from the LHC and HL-LHC becomes available. To optimise the CLIC accelerator at 380 GeV, a systematic design approach has been developed and used to explore a large range of configurations for the RF structures of the main linac. For each structure design, the luminosity performance, power consumption and total cost of the CLIC complex are calculated. For the first stage, different accelerating structures operated at a somewhat lower accelerating gradient of 72 MV/m will be used to reach the luminosity goal at a cost and power consumption similar to earlier projects at CERN – while also not inflating the cost of the higher-energy stages. The design should also be flexible enough to take advantage of projected improvements in RF technology during the construction and operation of the first stage. When upgrading to higher energies, the structures optimised for 380 GeV will be moved to the beginning of the new linear accelerator and the new structures optimised for 3 TeV will take their place. The RF pulse length of 244 nanoseconds is kept the same at all stages to avoid major modifications to the drive-beam generation scheme. Data taking at the three energy stages is expected to last for a period of seven, five and six years, respectively. The stages are interrupted by two upgrade periods each lasting two years, which means that the overall three-stage CLIC programme will last for 22 years from the start of operation. The duration of each stage is derived from integrated luminosity targets 500 fb-1 at 380 GeV, 1.5 ab-1 at 1.5 TeV and 3 ab-1 at 3 TeV. An intense R&D programme is on-going pursuing further important improvements. For instance, the CLIC study recently proposed a novel design for klystrons that can increase the efficiency significantly. To reduce the power consumption further, permanent magnets are also being developed that are tunable enough to be able to replace the normal conducting magnets. 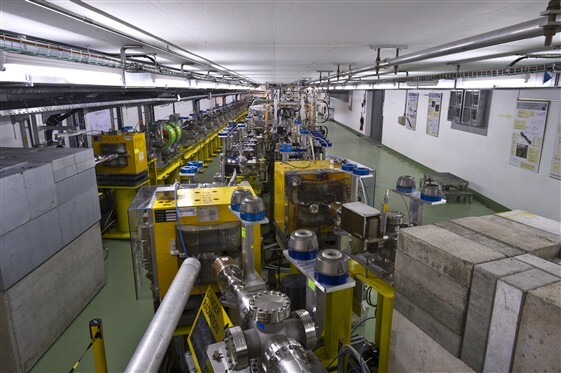 The goal is to develop a detailed design of both the accelerator and detector in time for the update of the European Strategy for Particle Physics towards the end of the decade, where these technical studies can be fully integrated providing further improvements. This corner is adapted from an article first published in the Cern Courier on 14 October 2016. Steinar Stapnes is Associate Director for the Compact Linear Collider Study in the Linear Collider Collaboration.